If you are a Canadian citizen or a permanent resident, you may be able to sponsor your spouse, conjugal or common-law partner, child (including an adopted child) or other eligible relative to become a permanent resident under one of the family classes. Permanent resident status will allow your family member to live, study and work in Canada. Our Ottawa immigration lawyers at Gerami Law PC have significant experience assisting Canadian citizens and permanent residents to sponsor their family members to immigrate to Canada. We have handled numerous files in this category and achieved results for our clients. Lawyers at Gerami Law have in-depth knowledge of the requirements that need to be met and a comprehensive understanding of the documents that need to be provided. Given IRCC’s stringent requirements, it is important to provide a complete package at the initial submission to avoid delays and/or return of an incomplete application package. Our extensive experience in dealing with family class sponsorship allows Gerami Law PC to assist clients with preparing complete and accurate applications to sponsor their loved-ones to Canada. Sponsoring an individual puts significant responsibility on the sponsor’s shoulder and dealing with all the logistical issues can be tiresome. The lawyers at Gerami Law PC understand the heavy burden placed on the sponsor and can be your trusted partner through the entire process. We educate the potential sponsor about their responsibilities and inform them of the potential resources available to them. Please Contact Us to discuss your family sponsor application and to explore your options. We would be pleased to schedule a Consultation for you with one of our lawyers. You can sponsor a spouse, common-law or conjugal partner, or dependent child to immigrate to Canada whether they live inside or outside Canada. To be a sponsor, you must be 18 years or older and must live in Canada. If you are a citizen, the you may also apply to sponsor from outside Canada but only if you intend to move to Canada with your family members once the application is approved. You must also undertake to provide for your family member’s basic needs. If sponsoring a spouse or partner or a dependent child over 19 years of age, this financial commitment lasts for 3 years from the date they become a permanent resident. For a dependent child under 22 years of age, it lasts for 10 years or until the child turns 25 (whichever comes first). If you have sponsored a relative in the past who has later requested financial assistance from the government, you may not be allowed to sponsor another person. Moreover, if you have not met the terms of a sponsorship agreement in the past or did not pay child support, you also may not be allowed to sponsor your family members. If you are applying to sponsor your spouse or common-law partner and they are already living with you in Canada, then you may have a choice to apply under the spouse or common-law partner in Canada class. That class has a number of benefits, including the possibility that your partner could apply for an open work permit if he or she has valid temporary resident status. It also has disadvantages, such as the absence of any right to appeal a negative decision to the Immigration Appeal Division. One of Gerami Law PC’s lawyers can help you choose the class that is best for your family. In January 2017, Immigration, Refugees and Citizenship Canada (IRCC) changed the process for sponsoring parents and grandparents to Canada. 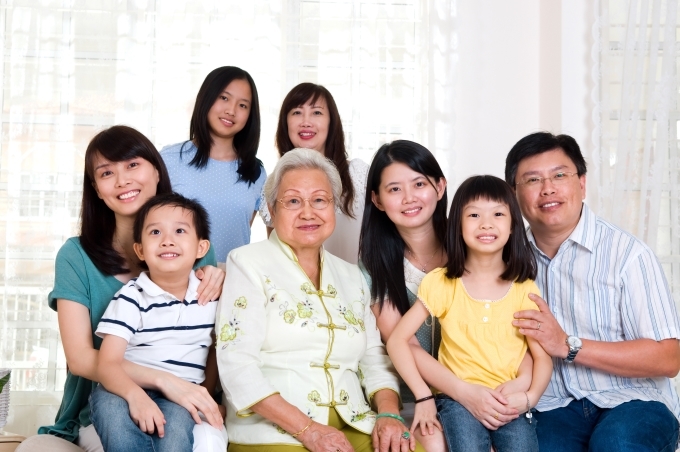 Citizens and permanent residents wishing to sponsor their parents or grandparents for permanent residence must first complete an online application to indicate their interest to sponsor under the Parent Grandparent program. IRCC will then randomly select 10,000 online applications and invite sponsors to submit a complete sponsorship application within 90 days of receiving the invitation. Contact us today and Gerami Law PC can help you navigate the new process. Another relative of any age or relationship but only if the sponsor is alone in Canada and there is nobody else that could be sponsored. Accompanying dependents of the above (for example, spouse, partner and dependent children). We handle cases in which clients are Canadian citizens and want to adopt a child from a foreign country. This is a complex process and you must comply with the laws of both the sending and receiving countries. In Canada, you must complete two separate processes: 1) the adoption process; and 2) the immigration or citizenship process. As adoption comes under provincial or territorial jurisdiction in Canada, to be eligible to adopt a child you must satisfy the requirements of the province or territory where you live and the adoption authority in the country where the child lives. Once you complete the adoption process, you can begin an immigration or citizenship process. If you are completing the adoption process in Canada, you can begin the citizenship process before the adoption process is completed. You will need to choose whether the immigration or citizenship process is best in your situation and Gerami Law can assist you with that decision. Immigration, Refugees and Citizenship Canada provides estimates of the processing time for your sponsorship application. The Lawyers at Gerami Law PC have significant experience in dealing with various immigration matters, including application filing, appealing a decision and proposing tailored solutions to unique client situations. We strive to provide personalized care to each of our clients and deliver high end legal services. Our immigration law firm reflects the diversity of the clients we serve with a proven track record of success in dealing with complex immigration matters and appeals.